Last Wednesday, Richard and I experienced this serendipity, this fortunate happenstance. 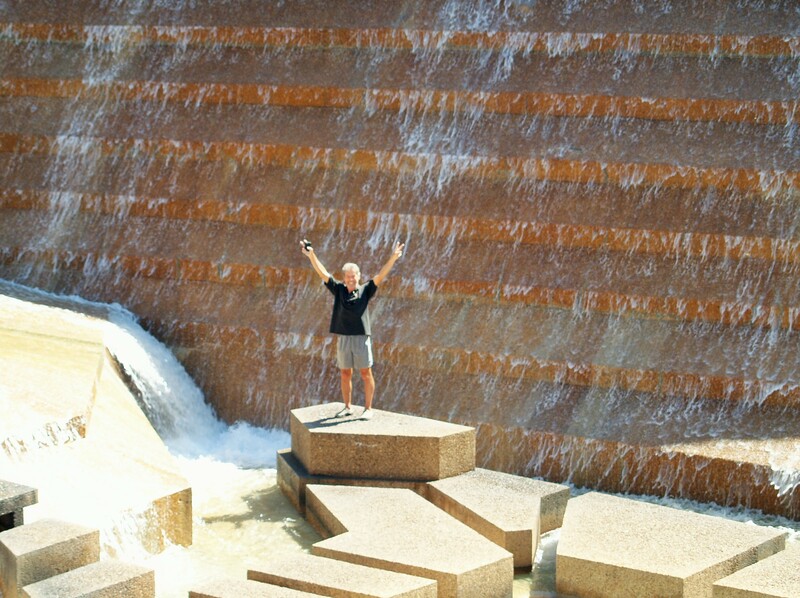 What started out as an excursion to the Fort Worth Water Gardens turned out to be a wondrous day of delight and surprises. Richard in the loud and scary Active Pool. He is fearless! It was lunchtime when we were done exploring, so we headed for the nearby Sundance Square and its environs for their many restaurants. We came across Del Frisco’s Grille, which seemed cool and comfortable. Its menu offered a wide range of lunch possibilities. On all counts, Del Frisco’s did not disappoint. I devoured my cheeseburger (hold the cheese, please) and fries, and washed it down with a glass of chardonnay. I was ready for a nap, but we decided to do a quick trip for the nearest Central Market for dinner pasta sauce fixings. And thus we encountered yet another pleasant surprise. 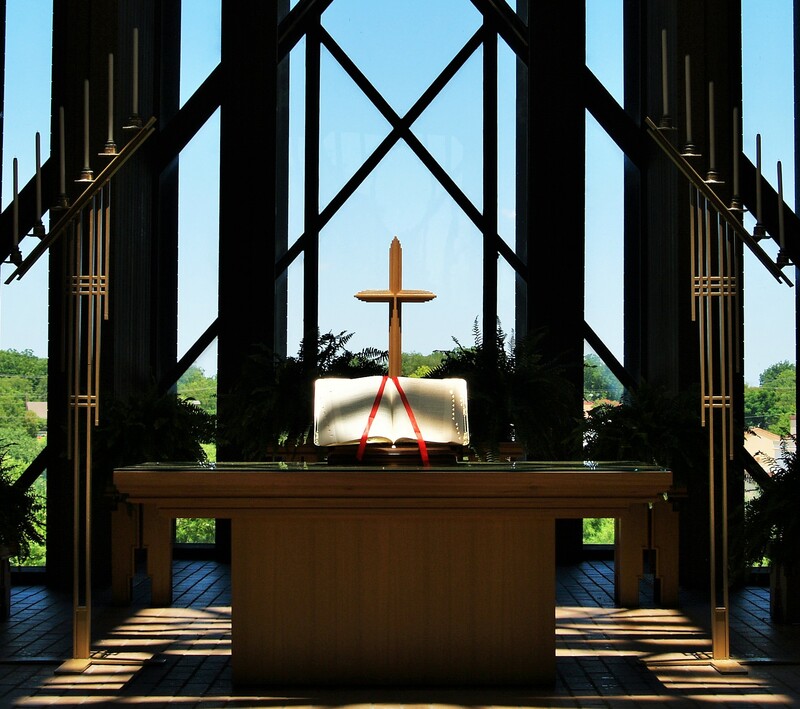 This interfaith chapel is part of the Lena Pope Home campus. In 1930, Lena Hope started this sprawling campus for children in need as a tribute to her young son who died of diphtheria. Marty Leonard is a long-time supporter and board member of the Lena Pope Home, and for her 50th birthday, her family and friends presented her with a rendering and partial funds for construction of this chapel. 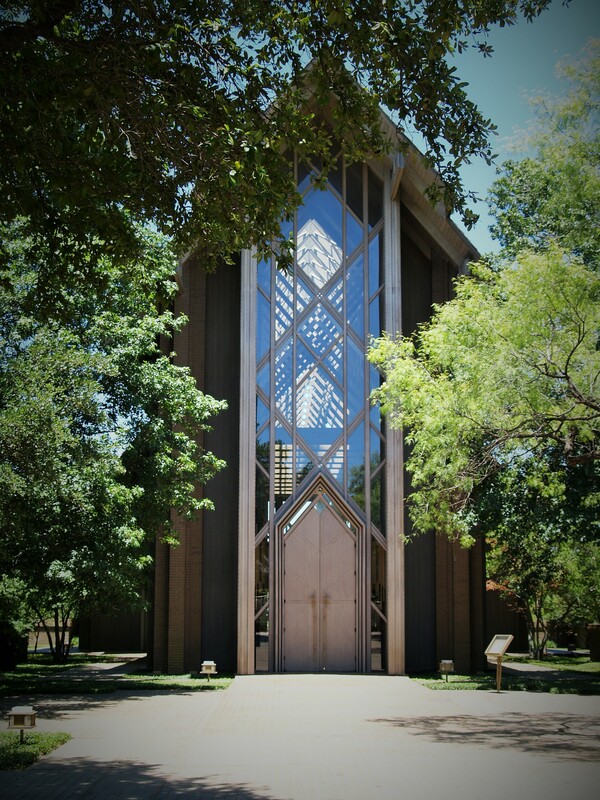 The chapel was completed in 1990 and is a popular venue for weddings. Eventually, we did get to the adjacent Central Market for dinner fixings. We headed home via a congested, dusty and smoggy Hwy 35W that is perpetually under construction. There were no serendipity moments there! Notwithstanding the home bound traffic, this was truly a day of serendipity and the kaleidoscope of discoveries continue to make me smile. 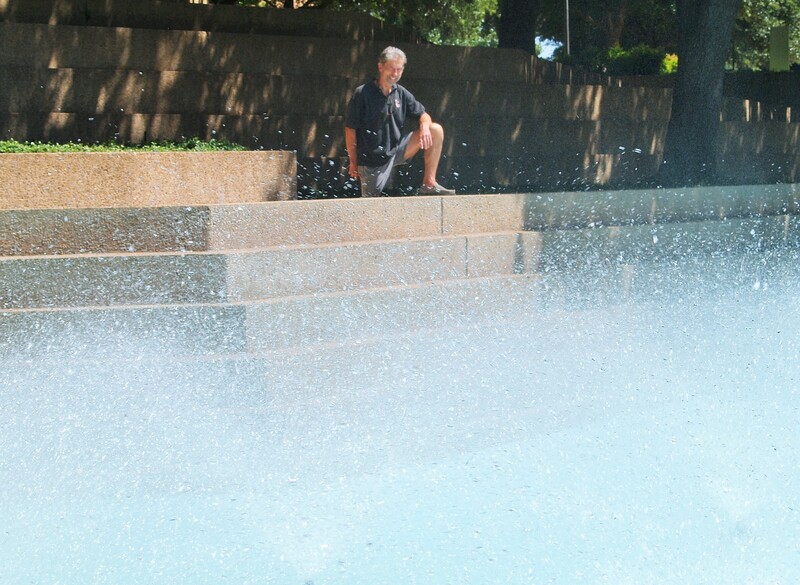 * I will devote future entries to photo essays of the Fort Worth Water Gardens and the Marty Leonard Chapel. 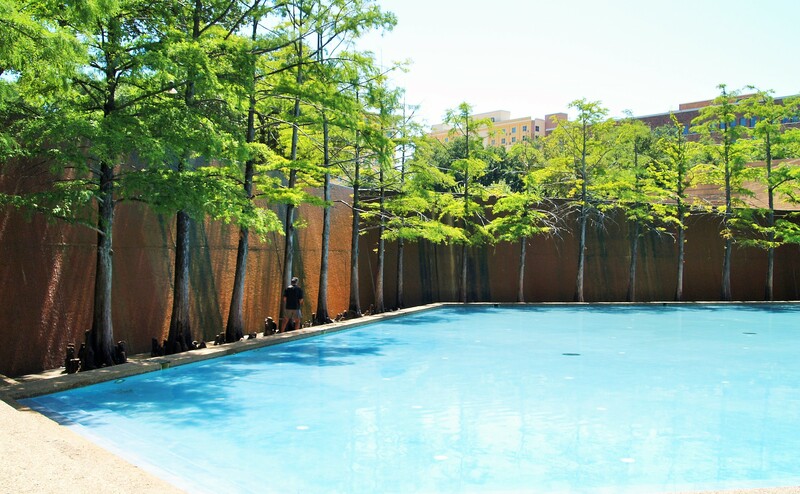 This entry was posted in Day by day and tagged Day trip, Fort Worth TX, photography, Serendipity, Texas by Berna. Bookmark the permalink. It was, Vanessa! And you’re right. I am quite fortunate to have this place near me. Be well!